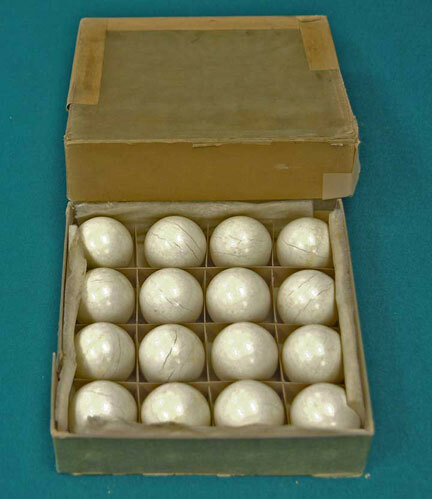 #10-05 Antique pool balls never used in the original box from an old pool hall. Size 1 7/8" diameter. These might have been replacement cue balls, or an extra set for a bagatelle table or pin pool table. Very rare set, perfect for use on smaller, coin operated pool tables. Complete set in excellent condition. $500.